After a terrible accident, Katie and her friends are left devastated. Katie was finally ready to forgive Levi for everything he’s done, but now she doesn’t know if she’ll have the chance to tell him how she feels. With Levi’s future uncertain, and her world falling apart around her, Katie has to find the courage not to give up. Faced with the reality that Levi might not make it, she climbs into their childhood treehouse to feel closer to him. Katie discovers a box of letters from Levi addressed to her, but will reading them help her to heal, or will they just be a painful reminder of the past? Is Katie and Levi’s story over, or is it just beginning? 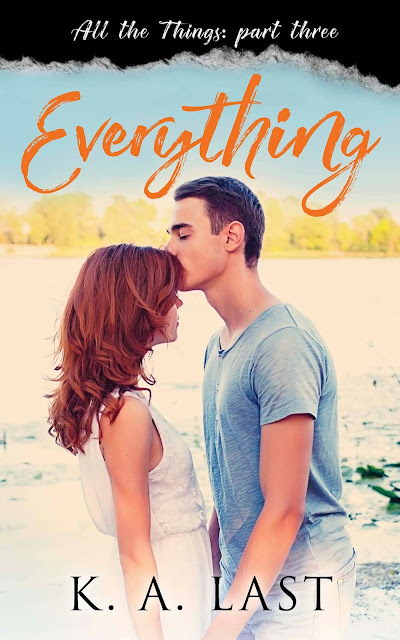 Everything is the final part of All the Things, a three-part Young Adult Contemporary series that will break your heart and put it back together again.